HAMPAIGN, Ill. — The more failing grades students have during eighth grade, the more likely they are to experience social-emotional learning problems, academic difficulties and behavioral problems during their freshman year in high school, a new study found. And despite the gender stereotype that boys are more likely to be the problem children in school, the researchers found that girls constitute the majority of youths who struggled the most academically, socially and behaviorally. University of Illinois social work professor Kevin Tan and his co-authors – graduate students Gaurav Sinha, Esther Shin and Yang Wang – suggest that school practitioners use failing grades and disciplinary referrals during eighth grade as red flags that students may be in need of extra support when they transition to high school. More than 320 students were involved in the study, which explored the relationship of social-emotional learning needs with eighth- and ninth-graders' academic performance and behavior. The study was published in the journal Children and Youth Services Review. The researchers identified five patterns among the youths in the study, who were all students at one Illinois high school. While Tan said that about 44 percent of the students had no significant social-emotional learning needs, about 25 percent of the youths needed help with assertion, school/peer engagement and internalization issues; nearly 17 percent had social skills needs; more than 6 percent had difficulties with self-control and other behavioral problems; and about 7 percent had significant needs across all of the domains. In exploring gender differences among the five groups, Tan and his co-authors found that girls accounted for nearly 66 percent of students with high needs across all of the domains. Students in the high-needs group – and their peers who had primarily social skills deficits – had the poorest academic performance, receiving the most failing grades during eighth grade and the lowest grade point averages as freshmen. Among students in the high-needs group, girls were the least engaged with school and their peers, had more disciplinary referrals and were absent more days than the boys. During freshman year, absenteeism was associated with having behavioral needs and with assertion, engagement and internalization needs, Tan said. In a related study using the same study population, Tan and his co-authors explored whether differing social skills mindsets were associated with gender disparities in student outcomes, such as academic achievement and negative behaviors. 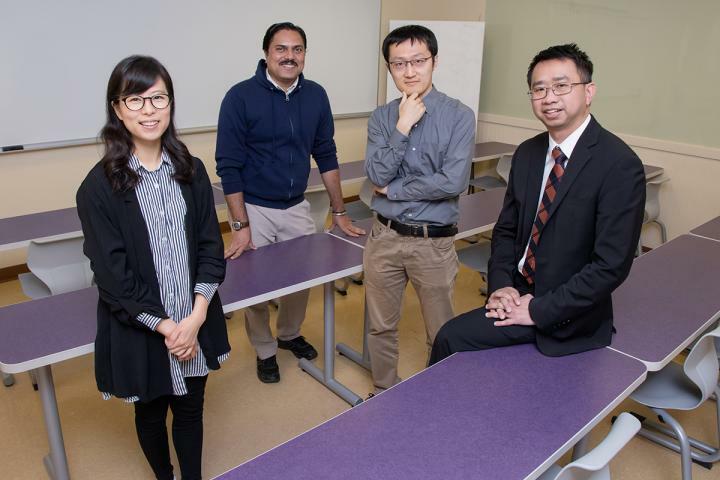 That paper, co-written with Illinois alumnus Minh Dung Hoang Le and Shin, was published in the journal Psychology in the Schools. Students' perceived value of social skills were assessed using the Social Skills Improvement System Student Version, a questionnaire that asks students to rate the importance of social skills across seven domains: communication, cooperation, assertion, responsibility, empathy, engagement and self-control. Girls who placed little value on social skills earned lower grades, had more disciplinary referrals and poorer attendance records than boys with a similar mindset, the data indicated. "Boys with low social skills mindsets had an average attendance rate of 94 percent, while girls with similar mindsets had an average attendance rate of 87 percent," Tan said. "So even though these boys thought social skills were unimportant, they were still attending school – but the girls were not." While some prior studies suggested that changing students' social skills mindsets can improve their academic performance, Tan said he and his co-authors found that promoting social skills was likely to have only a modest impact on boys' grades and no effect on their attendance. "Greater improvements would more likely be seen in girls' grades, attendance and behaviors," Tan said. Although a number of social-emotional learning programs are being used in schools, these programs tend to take cookie-cutter approaches, Tan said. The interventions might be more effective if they were tailored to students' individual needs and gender. "It's important for schools to understand these students' perspectives because their world views, their internal reflections of their environment and the things they're telling themselves drive much of their behavior," said Tan, who was a school social worker before embarking on a career in academia. The research was funded by the Spencer Foundation.